Don't let stiff and achy joints keep your dog from enjoying the freedom of mobility. Lubricate those stiff joints with Cosequin Double Strength. 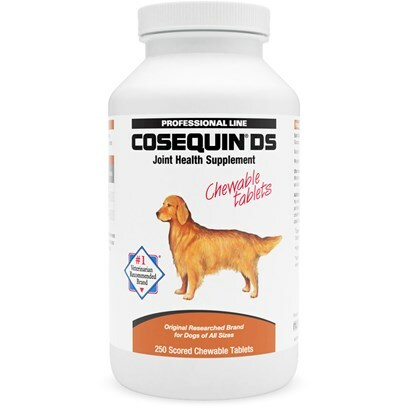 Cosequin Double Strength will help keep your dog doing the locomotion. Quick results. So glad I tried this for my dog. This is helping my old dog get around. Cosequin DS. A wonderful supplement! Seems to help 12 year old dog with arthritis. This is just what my dog needs.